TL160/200W floodlight type is a kind of tunnel light encapsulated with high power led, it breakstraditional appearance, simple structure, streamlined design and best Integration heat dissipationfunction. The shell using the high pure aluminum heat sink, 5mm high strength toughened glass coverand High purity aluminum reflector. Besides we use high efficiency constant current power supply and 4 pcs high power LED (high brightness chip), which were encapsulated with our independent intellectual property rights. 1.Quick reply within 24 hours. 3.Detailed and professional specifications and guidances of products. 4.Lighting solutions by professional technician and engineer. The NOMO Group Co,.ltd was founded in 2006 to design and develop high-reliability lighting products. 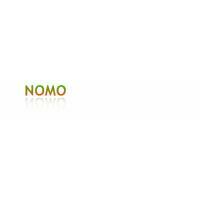 By the early 2010s, nomo had become a pioneer in Light Emitting Diode (LED) technology. The founder, wanjun wang , was driven by two simple principles: employ the latest technologies to develop quality lighting products and take really good care of the customers. Today, more than 8 years later, Nomo continues to deliver on those principles. We enjor a high reputation among the Europe ,usa,japan,korea,Australia market. By combining its over 10 years of lighting experience with UL, CE, RoHS, FCC, SAA for quality management, strong warranties, superior technical assistance and unparalleled customer service, nomo is dedicated to providing the best LEDs, the best support and the best results. Headquartered in guangzhou with a factory of 56000 square in Shenzhen ,1200 stuffs,47 experinced engineers .Nomo sincerely welcome all clients to co-operate with us, we surely believe we can light the world together!